Fierce Japanese striker who scored seven goals with the bronze medal-winning Japanese national team at the 1968 Olympics. 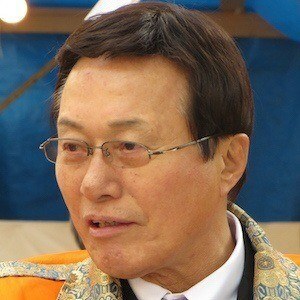 He earned a Bachelor of Arts degree from Waseda University, majoring in Commerce. He was selected for the Japanese national team while still in college and continued to play and work on his studies at the same time. He grew up in Kyoto, Japan. He and Willie Davenport both took home Olympic medals at the 1968 Mexico City Olympics.